Taken in Detroit at one of the MUFI (Michigan Urban Farming Initiative) sites earlier this summer. I was with a photobud who is documenting the State's program that encourages local groups to farm on vacant land within the city of Detroit. 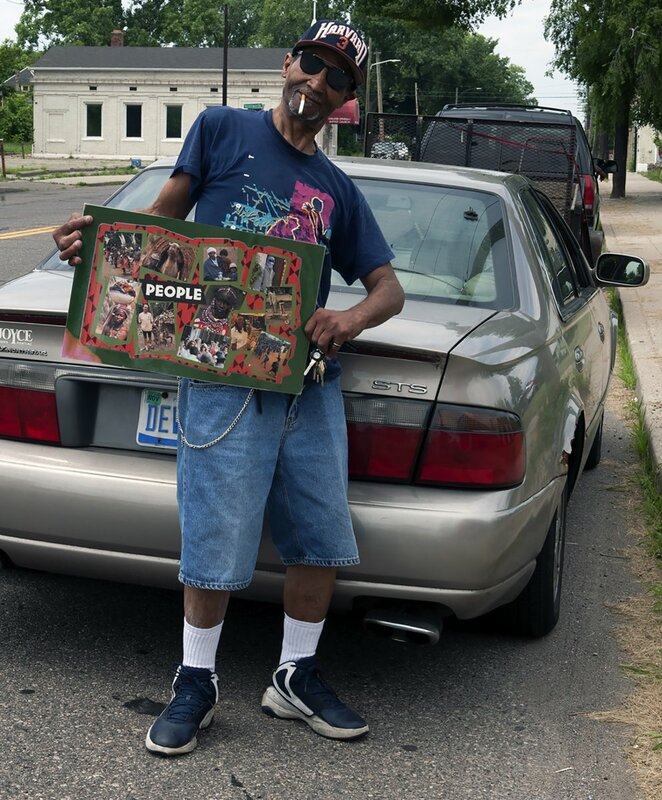 We had just finished a tour of one site, and as I was to take a photo from the adjacent sidewalk a car pulled up and the driver jumped out, pulled out a photo-collage, posed on his car and asked me to take his photo. I'm sure he had no idea who we were or why we were photographing, and didn't seem to care. The fact that someone was going to take his picture was enough. Seeing the humour in the situation, I complied and grabbed this shot.